SCA second grade student Carson Shrum, pictured with SCA Elementary Principal Charissa Sanders, received an elementary Christian Character Award for third quarter. 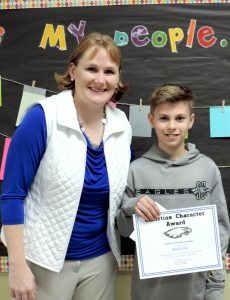 SCA sixth grade student Elijah Cox, pictured with SCA Elementary Principal Charissa Sanders, received an elementary Christian Character Award for third quarter. 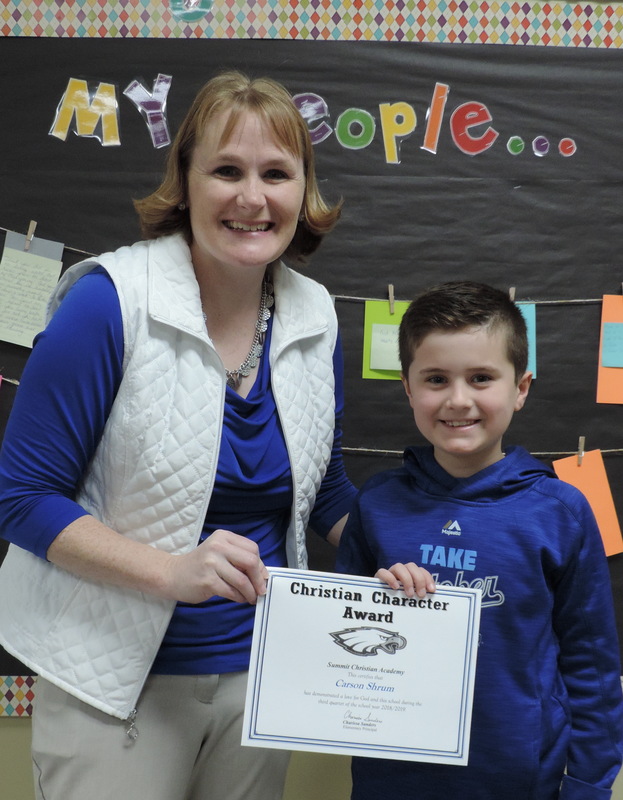 The elementary school’s Christian Character Award recipients for the third quarter are second grade student Carson Shrum, son of Christopher and Sarah Shrum, and sixth grade student Elijah Cox, son of Chad and Courtney Cox.